For those of you who like to watch genealogy revealed on television, three series of shows will be coming your way over the next few months. First out of the chute is season 6 of the US version of Who Do You Think You Are? I know that many of you have difficulty viewing this on The Learning Channel (TLC). However, this series kicks off the 2014-15 viewing season on July 23 at 9 PM Eastern time. I did a small sliver of research for one of the episodes; but I don't know if it was even filmed -- let along avoided the cutting room floor. Deadline.com has reported that 10 episodes were ordered by TLC. I am hoping that some segments will use DNA research this year. Last season I was surprised that there were no such episodes even though Ancestry.com, one of the major US DNA testing companies was a principal sponsor. Next up will be Finding Your Roots with Henry Louis Gates, Jr. It is set to begin on public television on September 23rd. Anderson Cooper, Valerie Jarrett, Ben Affleck, Billie Jean King, Anthony Bourdain, Deepak Chopra, Tina Fey, Alan Dershowitz, and Jessica Alba are among those who have been identified as featured guests. This series has been in production for many months. DNA results as well as traditional documentary research has been included. CeCe Moore is the DNA consultant for the series. 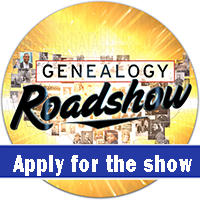 The Genealogy Roadshow will be returning to public television in Spring 2015. I'm not sure how many shows will be included. Filming will be underway this fall at different cities around the country. Those of you who are familiar with this series will recall that it deals with the family histories of non-celebrity "common folks". Casting calls have already gone out in New Orleans and Philadelphia. I just returned home from at trip to California for Genealogy Jamboree sponsored by the Southern California Genealogical Society Society (SCGS) which was preceded by an excellent day long pre-conference "Family History & DNA." Those of you unable to attend or to remotely view the streamed sessions could benefit from the excellent reading list prepared for inclusion in the syllabus of the DNA Day attendees. The "DNA & Genealogy Reference Books" list was complied by Bonny Cook on behalf of the DNA Interest Group of SCGS and the International Society of Genetic Genealogists (ISOGG). I believe Alice Fairhurst deserves credit for the companion list of "DNA Web Sites of Interest to Genetic Genealogists." 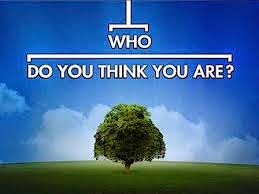 You may find both of these lists useful in building your knowledge of genetic genealogy. This somewhat abbreviated post is being sent to you from Burbank where I attended a very successful DNA Day yesterday and will begin Jamboree this morning. 1. The MyFamily.com websites, which many of us use to stay connected with others who are interested in researching and documenting branches of our family trees, will be closing September 5th. 2. The company is also getting out of the yDNA and the mtDNA testing business. Neither of these decisions is too surprising. However, taken together, do they indicate some bigger strategy is being implemented? Both of these two products have become orphaned over the years. They are soon to be removed from life support. Other products to be "retired" are MyCanvas, Genealogy.com and Mundia. Most MyFamily customers balked at migrating from version 1.0 to “the next generation of myfamily.com” as Ancestry call its version 2.0. Facebook did the rest. These sites which were early social media sites for family members when they were first offered about 15 years ago have gradually lost the vitality they once enjoyed. Many of us would not have been able to make the progress we have achieved with our family histories without MyFamily or some vehicle like it. Users have been notified that we have until September 5th to download content from our sites. Many of us think Ancestry has been out of the yDNA &mtDNA testing business for years. However, the company has continued to claim that was not the case even after it became clear in 2012 that their heart and capital investments were all going into atDNA testing. The biggest effect of the recent announcement is to end support for database the test results. For more information on how these produces will be phased out, Ancestry has established links to aid current customers. It remains to be seen whether these announcements signal a change in Ancestry's basic business plan. However it is a reminder that Ancestry is a business that is answerable only to its investors -- particularly since the corporation was taken private almost three years ago. This is a reminder that Ancestry is a for-profit business and that reality takes precedence over more altruistic goals of collecting and preserving genealogically relevant information. "Paper is a very neutral medium. It will record any nonsense any fool writes down." I wonder what Professor Thornton would have said about the medium of silicone. As an expansion of Professor Thornton's admonition, I often say that since I was born in Missouri, the "Show-Me" state that I have to see things to believe them. But of course Photoshop has challenged that as well. I'm happy to have the publicity for my forthcoming book which is now winding it's way through the editorial processes of my publisher. 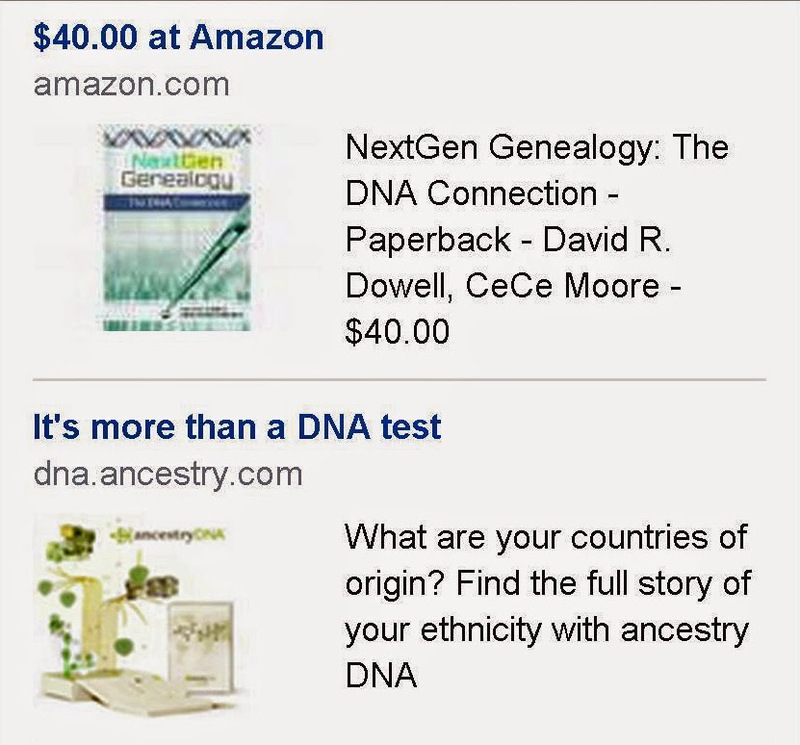 It is also interesting to see it paired with an ad for DNA.Ancestry. However, I don't want people to buy it because CeCe's name is associated with it. She had to withdraw from the project because of her success in other aspects of genetic genealogy. She is blessed with a brain for genetic genealogy, a face for television and is an articulate spokesperson. Although she was originally contracted to participate in the writing of the book, she had to step aside to try to retain some small smidgen of sanity among her many commitments. The publisher has already updated its website to reflect the true status of authorship of the book. Amazon.com is more intransigent to updates. The publisher claims to have no traction there. Bottom line: I'd be happy for you to pre-order the book at Amazon or from the publisher. However, I don't want you to do it based on out dated information. For those of you who will be attending Jamboree in Burbank later this week, I'll be distributing flyers about the book. Hope to see you there.